Filing income tax has always been a difficult affair for many. The situation becomes all the more dreading when he is filing it for the first time. People become very excited when they get their first paycheck, start looking for the ways to spend money. Some end up spending their entire earning and some start saving and investing in share market etc. But one thing is common among both types of people that they dread filing their income tax return (ITR ) for the first time. 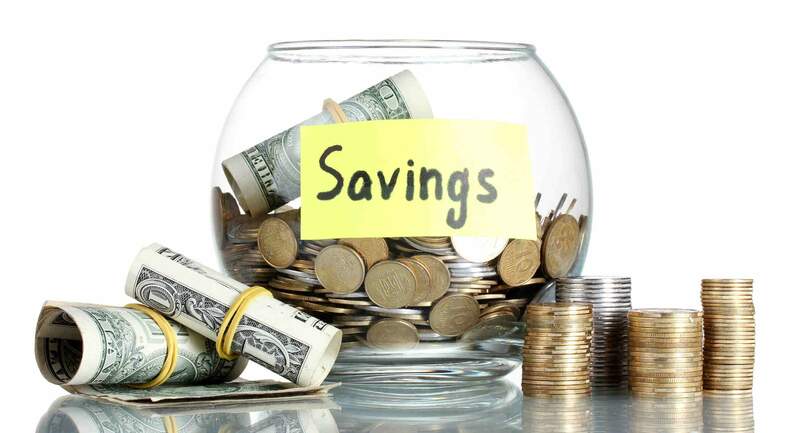 They encounter problems like how to deal with tax liability, what tips should be kept in mind while filing income tax return, how to save more taxes. If it is the case, you do not need to worry as these things can be better taken care of following these certain tips. The due date for individuals filing ITR is 31st July. The last date to file ITR for the businessmen, only those who are liable to tax audit is 30th of September. However, waiting for the last date to file your income tax return should be avoided. If you file your return after the due date then you could not carry forward the losses except that of loss from house property. Losses under the speculation business including business and profession, capital gain, income from other sources cannot be carried forward. Please keep in mind that income tax return does not cover a calendar year. Income tax return covers the period of a financial year from 1st April to 31st March. You are required to file your income tax return of a financial year. The tax slabs are different for different age group. Tax slab for an individual below 60 years is nil up to 2.5 lakh. 5 percent from 2.5- 5 lakh. 10 percent from 5-10 lakh. Above 10 lakh, it is 30 percent of your total earning. Tax slab for an individual above 60 years of age but below 80 is nil up to 3 lakh. For above 80 years of age, basic exemption limit is 5 lakh. Few basic details which are required for filing your return are PAN, bank account detail with IFSC code, address, mobile number and mail id. 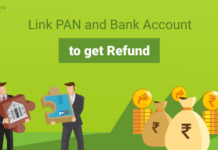 Permanent account number (PAN) is mandatory for filing your income tax return. Identify the income from other sources, if any. Identifying income from other source is an important task, people often get confused while identifying income from other sources. We are providing a list of four different heads of income which is considered as income from other sources, other than your salary. Ready with your Form 16. 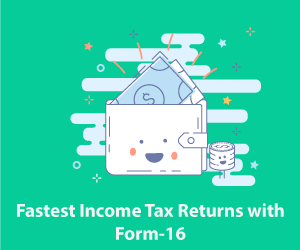 Form 16 is basically a certificate issued by an employer that Tax Deducted at Source (TDS) has been deducted from the salary. 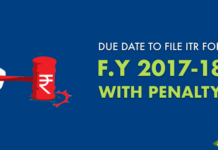 Income Tax Act mandates that it is the duty of the employer to issue Form 16 once in a year on or before 31st May. Immediately following the financial year in which tax is deducted. 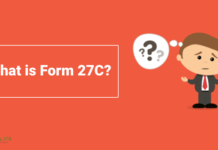 Form 26AS is a consolidated document of taxes deducted on your behalf and quarterly tax paid by you, if applicable. The Form 26AS is available on income tax department website and can be downloaded from there. Be ready with income-related documents. Stock trade documents would be required to obtain the details of sale or purchase of shares and mutual funds made during the financial year. Bank account statement or interest certificate would need to be referred to obtain details of interest earned during the financial year. Bank account statement is required because Form 26AS have only the details of interest on which taxes has been deducted by the bank. Housing loan certificate is required to claim interest and principal paid on housing loan availed for purchasing the house property. In the case, you have any house loan/mortgage loan for self-occupied property then you can always claim the interest on housing loan up to Rs. 1.5 lakh per annum. This could be shown as the loss from house property. Section 80 C of the income tax allows an individual to claim principal amount of the loan as an exemption. However, there is a limit of Rs. 1 lakh under the said section. If you have already exhausted this option then it is not available to take benefits. The investment made under NSC, ULIPS, PPF, ELSS qualify for deduction up to Rs. 1.5 lakh under section 80 C of the Income-tax Act. ITR2- Applicable to Hindu undivided family not having any income from business or profession. ITR2A- Applicable for Hindu undivided family having more than one housing property and not having any income from business or profession or capital gain and do not hold any foreign asset. Income tax return would mandatorily require being e-filled if your income exceeds Rs. 5 lakh. 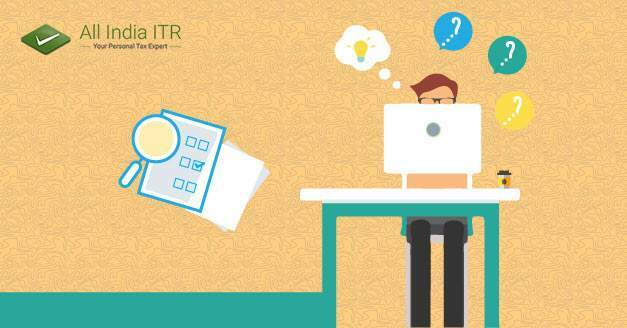 Form ITR-V is generated by the tax department as soon as your return is e-filled. In Form ITR-V, ‘V’ stands for verification. 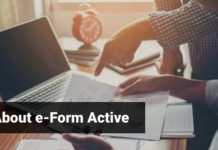 The taxpayer is required to verify the summary in the form and then print the form sign it and send it to the Centralised Processing Centre (CPC) Bangalore by post within the period of 120 days from the date of your e-filing. Non-submission of ITR-V within the stipulated time period of 120 days will lead to invalidation of returns. After going through all 10 point you must have realised that the entire process of tax filing is not complicated. It is easy if little much effort is given for the preparation. Excellent work by ITR. 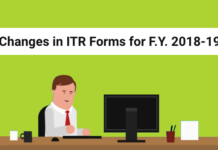 This blog contains details in briefly and accurate manner about the tips to be keep in mind for filing ITR form for the first time.Great work by ITR team it really nice to explain everything about taxes. It touches each and every corner of tax and its related branches in a neat and aligned manner. All India ITR experts solve my problem in simple way.None of the tax or investment blogs or websites provide such details.It’s really great that u take initiative to tell people about this and your way of representation of thought is really good.We can understand out problem very easily and get our answers faster.